This specially treated heavy white paper is suitable for use with oils or acrylics. Tear off one sheet at a time and throw away the mess. The Canson Disposable Palette contains 40 sheets and has a rigid-back pad. 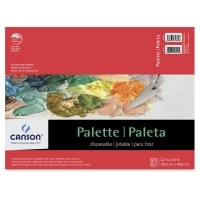 This specially treated heavy white paper is suitable for use with oils or acrylics. Tear off one sheet at a time and throw away the mess. 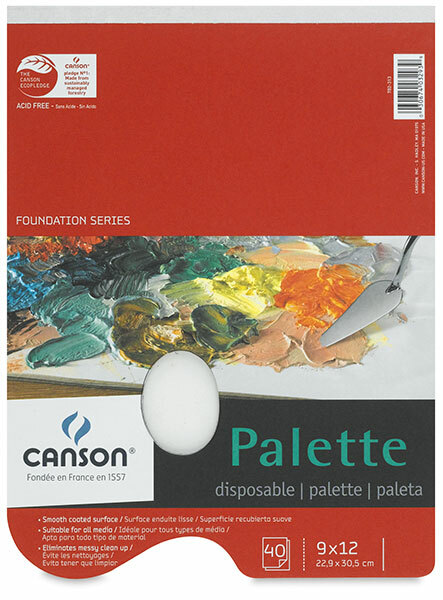 The Canson Disposable Palette contains 40 sheets and has a rigid-back pad.